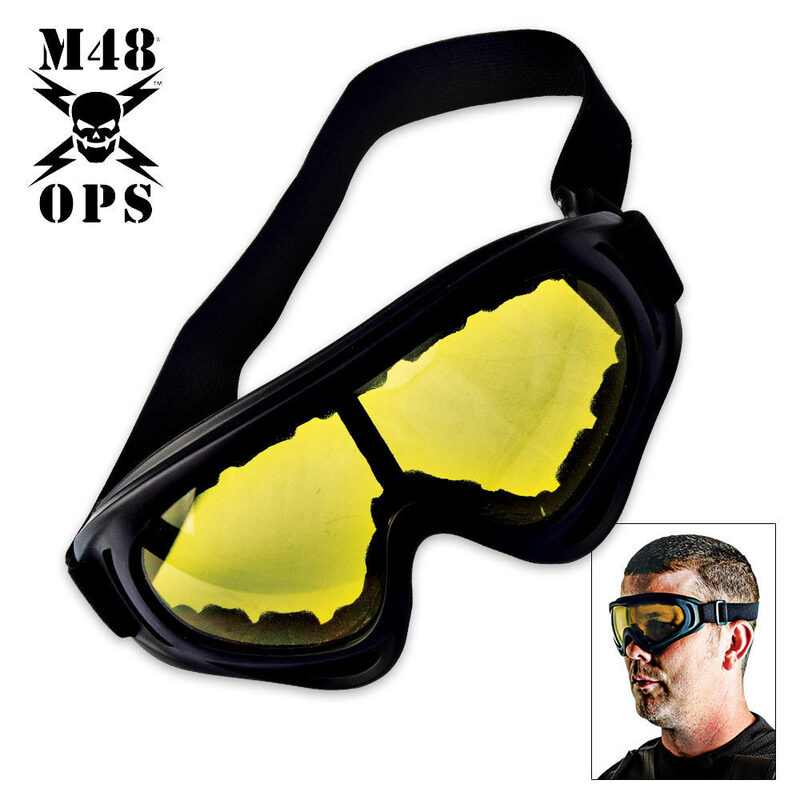 Tactical Wind Goggles Yellow | BUDK.com - Knives & Swords At The Lowest Prices! 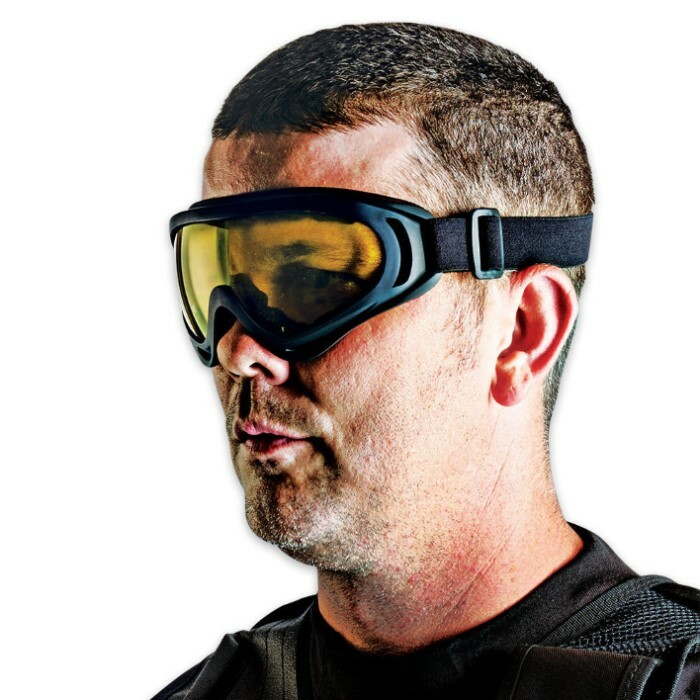 Keep the wind and sun out of your eyes with these yellow tactical wind goggles. The single-piece anti-fog, scratch-resistant polycarbonate lens provides a UV400 rating to protect you from ultraviolet lights. The foam padding and adjustable strap provide a custom, comfortable fit, and the upper and lower venting systems provide adequate ventilation to help prevent condensation when you're hot.